A friend of mine told me that his red moor wood took 4-6 weeks to sink, so I decided to give mine a little helping hand by placing a fish-bag-full of inert rocks on top of it, after moving it into position. On my second attempt, about a week later, I was able to remove the bag of stones, with the wood not floating up. I took the opportunity to move the weeping moss onto the wood, rocks and all included, as it is best when grown hanging off branches. 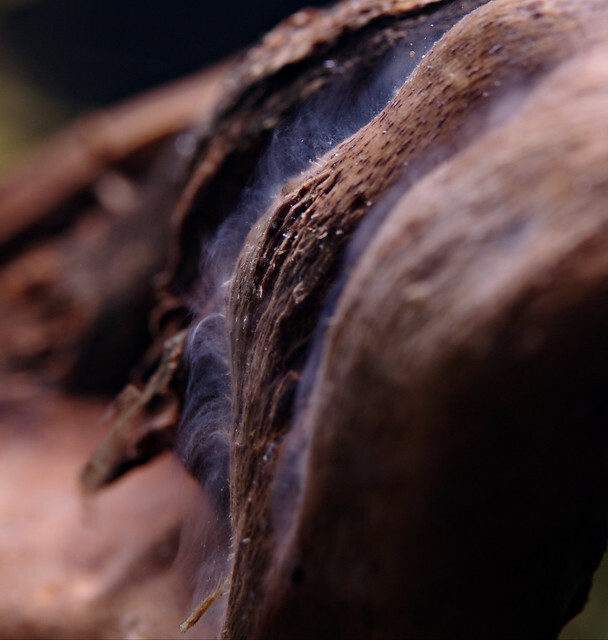 The wood has started growing a layer of what could be either bacteria or a fungus, which is apparently common in aquariums with a higher pH. I have seen this happen on a re-used piece of mopani wood before: it usually stops growing the fluff after a while. Without analysing a sample of the fluff, it would be impossible to find out if it really is a bacteria or a fungus. I took the wood out of the aquarium and washed it off. The fluff feels slimy to the touch, but is harmless. 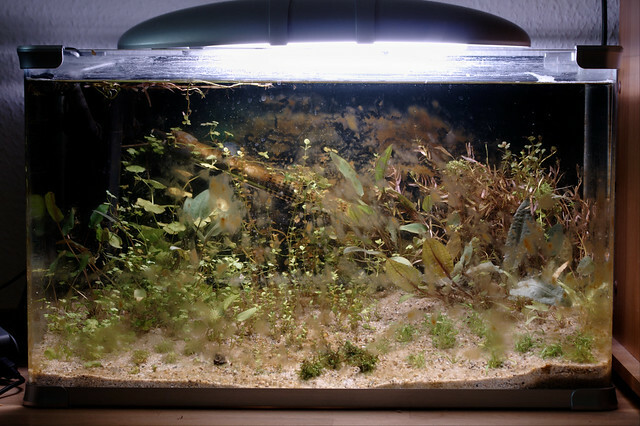 Above is the photo of the aquarium after I finished a full maintenance on the aquarium. I started by turning off the heater and filter, and scraping all the diatoms off of the front using an expired bank card, followed by the sides and the back, although I must admit that I did not make a particularly good job of the back. I was especially careful to not catch the sand, but I think I still may have caught one or two grains which would have scratched the glass. Next, I drained out 5-10% of the water into a bucket, syphoning up all the diatoms I scraped from the glass. At this point, I decided to clean the filter. So I took the filter out of the aquarium, which was a bit more difficult than I would expect because of the spray bar. I pulled the filter apart and started cleaning the media in the old aquarium water which I had just drained: chlorine and chloramine will kill the nitrifying bacteria that I have been growing and feeding ammonia to. In the two months that the filter has been running for, it has become covered with sand dust, including the media and the impeller. I gently squeezed the sponge in the water until I could not see any sand left on them, then cleaned the impeller, the plastic casing and rubbed the ceramic media between my hands to remove the fine sand coating which was covering it in places. Rubbing ceramic media against itself is not harmful to the filter because the vast majority of the bacteria will be inside the media. Next, I cleaned all the soft plastic as some of it still had fungus on it. I reassembled the filter and placed it back into the aquarium. Because my tap water is hard, I have lime scale deposits around the top of the glass, inside the aquarium. I cleaned these off with some cotton wool which I soaked in spirit vinegar and then rinsed the areas with aquarium water. Finally, I syphoned out the remaining water down to about 10 cm from the bottom. So as to not disturb the sand, I then syphoned dechlorinated and temperature matched water back into the aquarium, finishing off with a top up to get the water level right as I do not like the sound of trickling water too much. In total, I changed 36 litres of water. Finally, I switched the filter and heater back on, managing to spray water out of the aquarium in the process, and added the new piece of wood. The flow of the filter looked much faster, now that it had been cleaned. I expect KH, GH and nitrate to drop after the water change because my tap water readings are lower. Unfortunately, the diatoms are still there and getting worse, so hopefully, the water change will help improve the situation. I also have a Malawi aquarium, which, for those of you who do not know, is a Lake Malawi simulation, with a lot of rockwork and no plants because the fish which live in the lake naturally graze on algae and have a habit of mistaking plants for algae, which means that most plants would not survive for long. 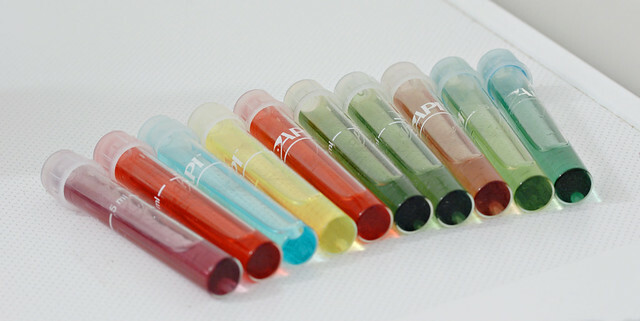 In this rocky and plant-free environment, I also often see diatoms, and as is currently the case with this aquarium, the Malawi setup also has high nitrates, so I assume, given that the general hardness is the only other common factor between the two aquariums, that the nitrate is responsible. I have also noted the appearance of cyanobacteria, an algae-like bacteria, today. I hope this is also related to the high nitrate levels. The results indicate that my tap water has changed since I took the original readings: my tap water pH has dropped, while the KH has risen. I also added the wood, right after the water changes. It has now picked up the rich red which gives it the name of “red moor wood”, but is being slow to water log. One of the most popular types of décor for aquariums is wood. 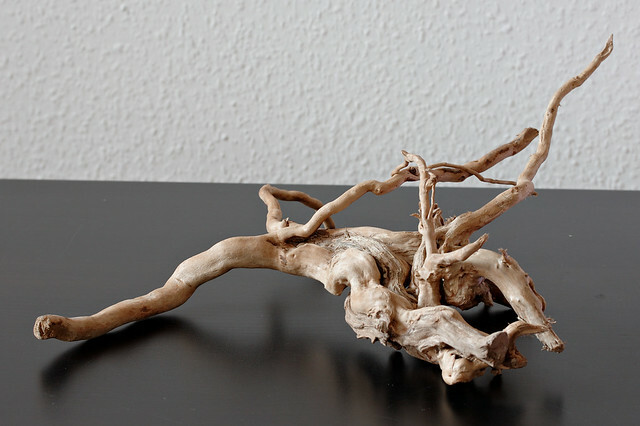 There are a number of different types sold commercially and it is possible to prepare one’s own wood for aquarium use. The most likely ones to be found in shops are bogwood, driftwood, mopani root and “red moor root”. There are also a few other types which are only starting to become available now or are not so popular too. Bogwood and driftwood are usually solid pieces of grey to brown colour, they are usually parts of the trunk or thick branches. Mopani is more of a thick, gnarled root, a light sandy colour on one side and a rich brown on the other. “Moor root” is used to describe any wood which is composed of weaving, curly branches, usually attached to a gnarled base. Moor root often comes in colours ranging from orange to red. I have also used dead English oak branches with success, and dead heather branches and roots, but the heather tended to disintegrate quite quickly. There are a few benefits to using wood, the biggest one being the release of tannins, which help lower pH. Soft woods, such as bogwood, are also required if plecos are kept, because plecos will feed on them. Wood can also be used to grow certain plants, such as Anubias, Microsorum pteropus and various aquatic mosses, which can be a big advantage when keeping species which like to dig. The advantages of wood are also the disadvantages, some people do not like the tannin coloured water and the lower pH is not suitable for certain fish. Wood can also start growing fungus, this is often the case if the wood has been boiled in a bid to remove tannins: it is considerably more productive to just soak the wood in a bucket, changing the water regularly. Once fungus has appeared, it can easily be removed with a syphon or by gently scrubbing the wood under the tap. 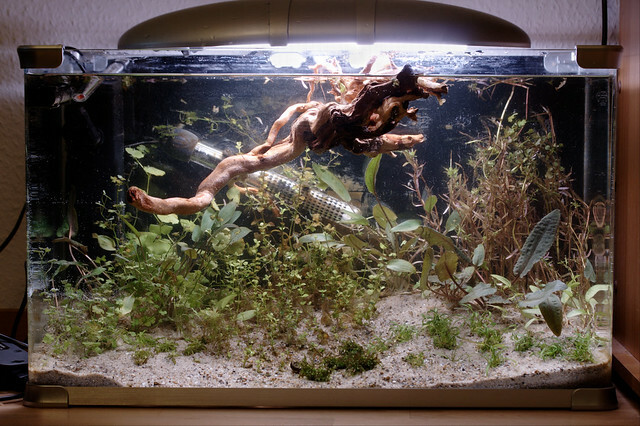 I prepare wood by brushing off any dirt under a running tap, then adding it to the aquarium, where it should quickly become water logged, although sometimes, the wood can take a few days to a few weeks to sink.